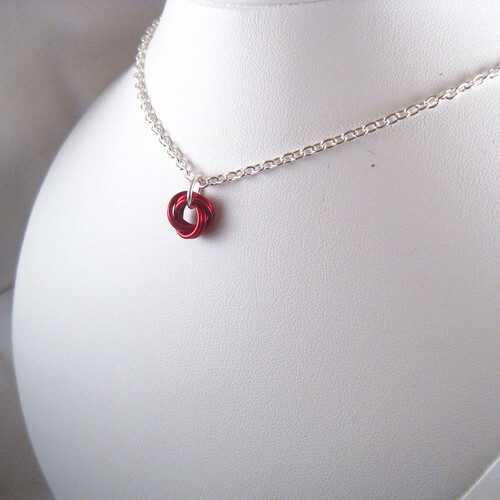 Red Rosette Pendant a photo by EmilyMah on Flickr. As I mosy around the internet, trying to coordinate all the different media outlets for my business, I occasionally try something that I later abandon. Today I tried SoopSee, but won't stay with it. It's an aggregator that takes your Etsy shop, Twitter stream, and blog and puts them all on one site, but it doesn't do it better than this Blogger site. Every time I try something, though, I leave little husks of half finished sites in my wake. I'm sure some of them are quite humorous.